3D printing is great for rapid prototyping. But what do you do if the 3D printer is too small? Well… just get a bigger one of course! 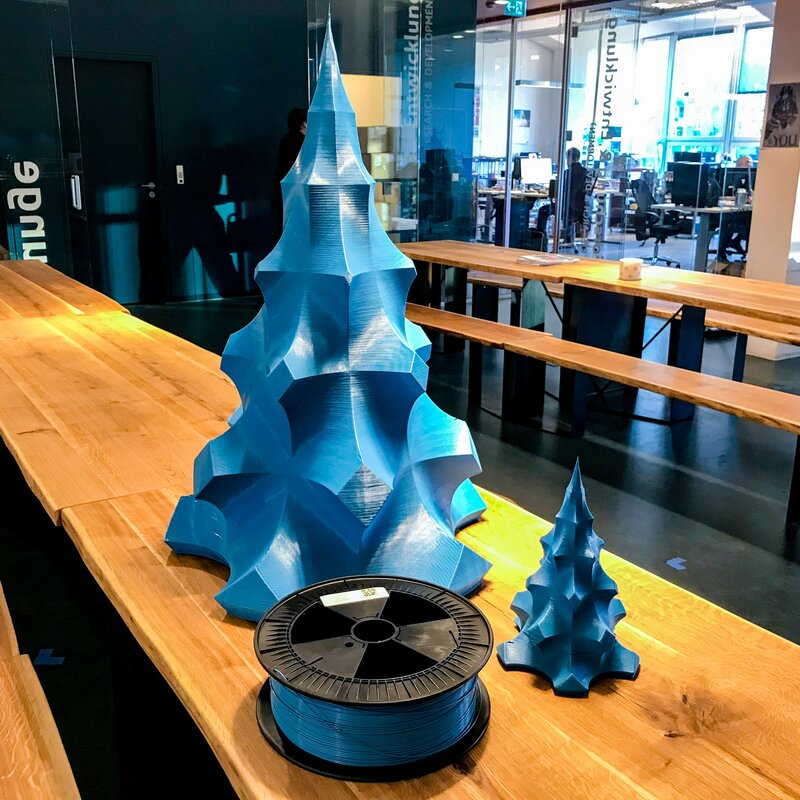 And while you’re at it, why not get one big enough to 3D print a Christmas tree? This is exactly what was going on at TRINAMIC Motion Control’s headquarter from 11 December till 15 December. Thomas Sanladerer, one of the most prominent YouTubers in the 3D printing community, flew over to Hamburg together with Torbjørn Ludvigsen, creator of the Hangprinter. That’s right, a hanging 3D printer. This Norwegian born Swede was thinking outside the box when swapping the well-known rigid frame of a RepRap for fishing line. As such, you can turn any space into a 3D printer, printing objects nearly as big as the space itself. 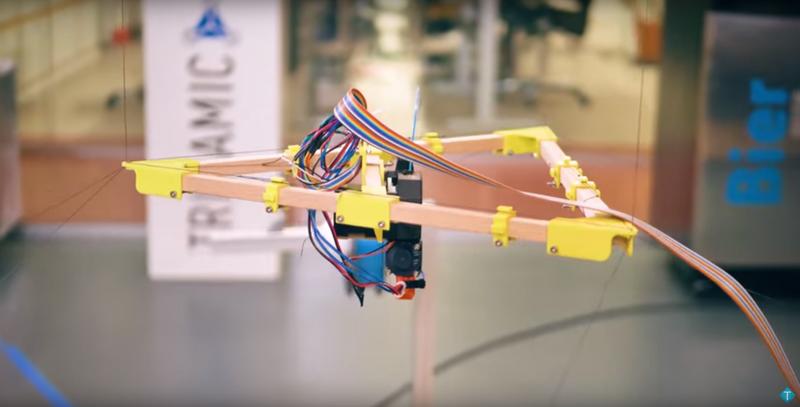 While building the 3rd version of the Hangprinter in the lounge of Trinamic’s HQ, Thomas Sanladerer and Torbjørn Ludvigsen discussed all aspects of it while at the same time documenting their work and trying not to get caught in the wires. Behind the scenes, our engineers were answering the questions that popped up in the live stream, opening up to a community that was eager to learn more about Trinamic’s products and technologies. All in all, it was a great project that resulted in a short series of interesting videos: Building the Hangprinter. Be sure to check out this site as well for some more information. If you’re all excited about building your own Hangprinter, you can get yourself some SilentStepSticks and find out what else you need in the BOM below.